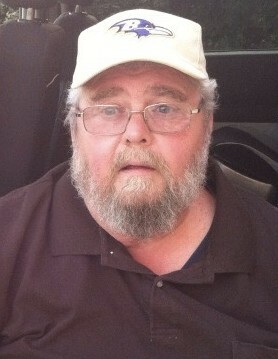 On March 17, 2019, Edward Shreve passed away in Glen Burnie, MD. Edward is survived by his loving wife June F. Shreve; devoted daughters Nicol Wentworth (husband Rich "Moose") and Christine Powder (husband Curtis); sisters Barbara Roles (husband William -predeceased) and Judith McGee (husband Robert-predeceased); nephew Michael Roles; grandchildren Ashley Garman, Tylor Shreve, Jesica Kuhn, Tommy Kuhn, Jayden Powder and great-grandchild Anton Eccleston. A public visitation will be held on Wednesday, March 20, 2019 from 2:00-4:00 PM and 6:00-8:00 PM at BAILEY Funeral Home and Cremation Service, PA and Thursday, March 21, 2019 from 2:00-4:00 PM and 6:00-8:00 PM at the funeral home. A funeral service will be held on Friday, March 22, 2019 beginning promptly at 10:00 AM at the funeral home; interment will follow to Loudon Park Cemetery 3620 Wilkens Ave, Baltimore, MD 21229, arrival time 11:00 AM.